When it comes to Hard Rock I like my music like a good Whisky, Aged. I generally find it difficult to adopt a new band into my Hard Rock fold, I'd be saying minimum 10 years preferably 40s. Led Zeppelin, Deep Purple, Audioslave, early Foo Fighters. Now don't get me wrong, I do like recent Foo Fighters, but much like all bands - the first few albums tend to be the best! 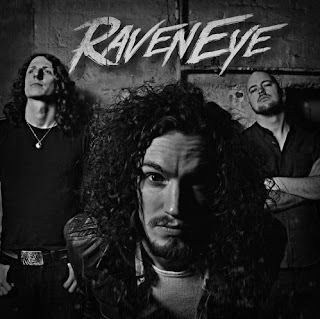 I have dabbled with some new Hard Rock bands, some of the super groups too, but I have never been grabbed... until I was introduced to RavenEye by a friend (Cheers over to Jason Wilkinson). RavenEye comprising of Blues guitarist Oli Brown along with Australian bassist Aaron Spiers and drummer Kev Hickman, released their original EP Breaking Out in 2015, then their 11 track album Nova in 2016. Followed up by supporting Aerosmith in 2017! Hey Hey Yeah is their most listened to Track, and there are more out there if you like what you hear. Just need even more!